Bella has babies! Holly and Noel hatched earlier this week and we are so excited to watch these two chicks experience the world for the first time. Watch here! Our Fox Den Cam is back up and running! Catch wild foxes prance and play around New Hampshire every day. 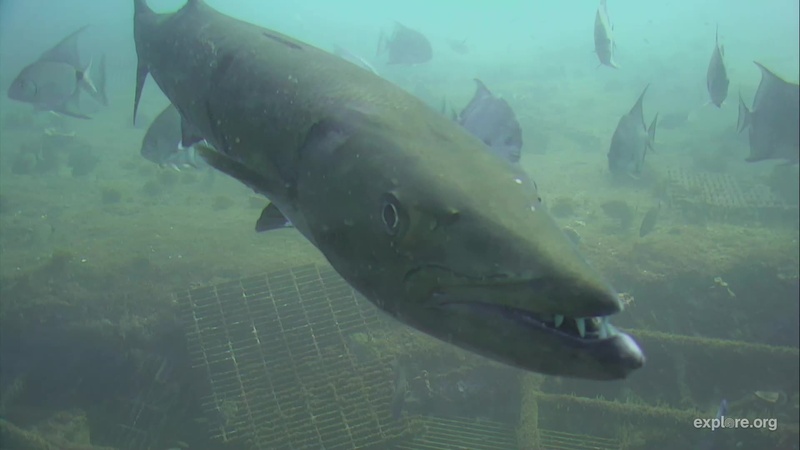 We are also pleased to announce that the Barracuda cam is back online. After temporarily being down, we are excited to SEA what this cam will have in store for us! Take a bite out of this! A school of fish test out its reflexes upon encountering a hungry sand tiger shark. Watch the Shark Cam to see more! Feeling stressed? 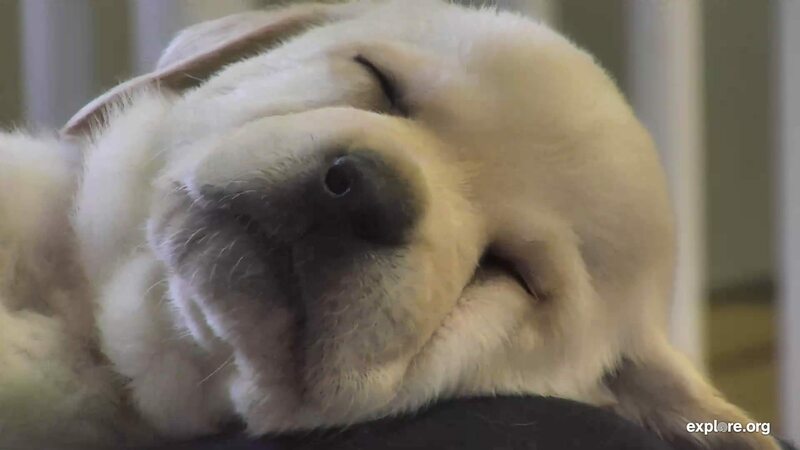 Come relax with us as we watch puppies peacefully sleep on the Puppy Cam! Tune in here every week for more weekly updates from explore.org! © Copyright 2019 explore.org. Made possible by the Annenberg Foundation.